As Mirth Corporation says on their web-site, "Mirth Connect is the Swiss Army knife of healthcare integration engines, specifically designed for HL7 message integration. It provides the necessary tools for developing, testing, deploying, and monitoring interfaces. And because it's open source, you get all of the advantages of a large community of users with commercial quality support." The focus of this book is to introduce readers to version 3.x of Mirth Connect to the point that they confident enough to start building their own healthcare data exchange interfaces. 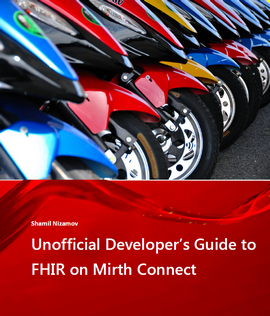 This book describes version 3.x of Mirth Connect to the point that reader are confident enough to start building their own healthcare data exchange interfaces using a new HL7 standard called FHIR or Fast Healthcare Interoperability Resources. As you read this book, you will be implementing a number of fictitious FHIR related services working as FHIR Client or FHIR Server. 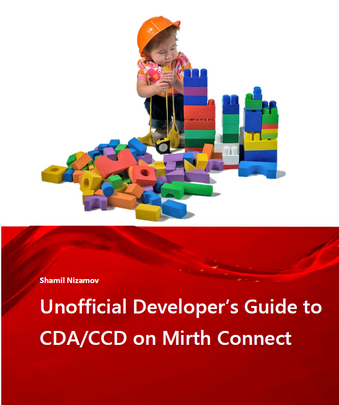 The focus of this book is to introduce readers to version 3.x of Mirth Connect to the point that they confident enough to start building their own healthcare data exchange interfaces and transforming HL7 messages to CDA/CCD documents. As you read this book, you will be implementing a fictitious CCD Builder Server. Each connection point (channels and destinations) is explained in a separate chapter, which in turn provides step-by-step instructions on how to create and code data transformation rules for ADT and ORU messages. 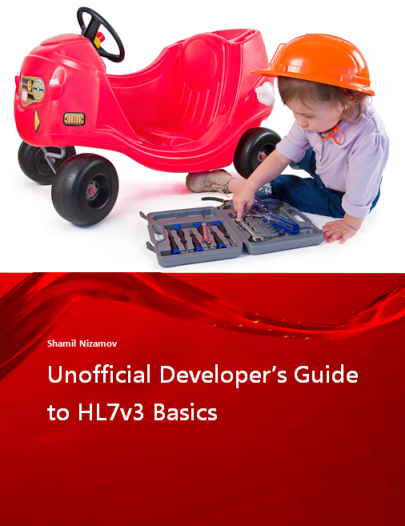 Both the HL7 standard and software development methodology exist at a sufficiently high level of abstraction to support multiple interoperability requirements, even when these requirements conflict with each other. Some newbies portray HL7v3 as a "silver-bullet" solution. Unfortunately, neither HL7v3 nor separate components of the standard such as HL7 Reference Information Model (aka RIM) are "solutions". They are just new layers that separate end-user applications from the communication media, not a fundamental change in how data is communicated in existing computing infrastructure. The focus of this book is to introduce readers to HL7 version 3 to the point that they confident enough to start building their own healthcare data exchange interfaces. Victoria, the capital of British Columbia, is well known for its pictures of The Empress Hotel, BC Legislature aka The Parliament Buildings and some surroundings like The Butchart Gardens. At the same time there are more than 300 buildings built in 19th century which have already received a heritage designation, and more to come. 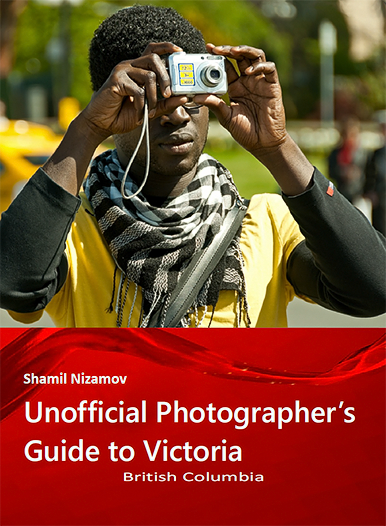 The book aims to guide you to a series of Victoria locations that contribute to it's photogenic and heritage characters making Victoria one of the major tourism destination s in British Columbia. Waterfalls, magnificent beach trails, remote lakes, mountains, giant old-growth forests and plentiful wildlife are just a few of the natural wonders you may explore while driving from south to north of Vancouver Island's highways and back roads. This book, covering Vancouver Island from Victoria to Port Hardy, has everything you need to plan your expedition as a photographer. 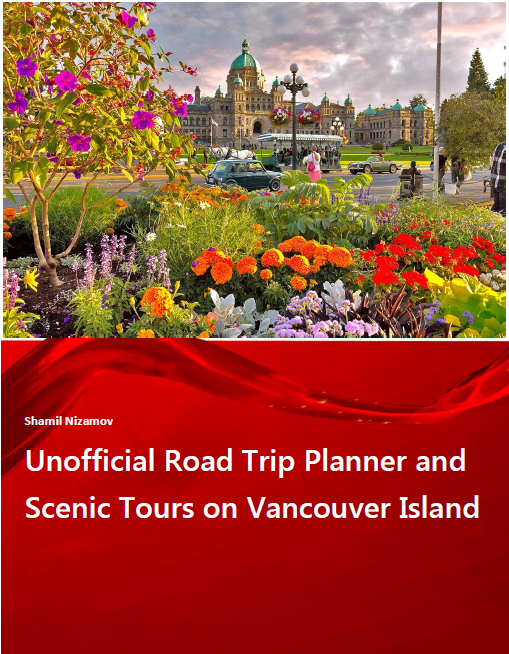 The book aims to guide you a series of Vancouver Island locations that contribute to it's photogenic characters making British Columbia one of the major tourism destinations in Canada. Any comments, suggestions or feedbacks are welcome.